This weekend sees the Harvest Festival, coinciding with Brixton Design Trail and Open House Weekend. 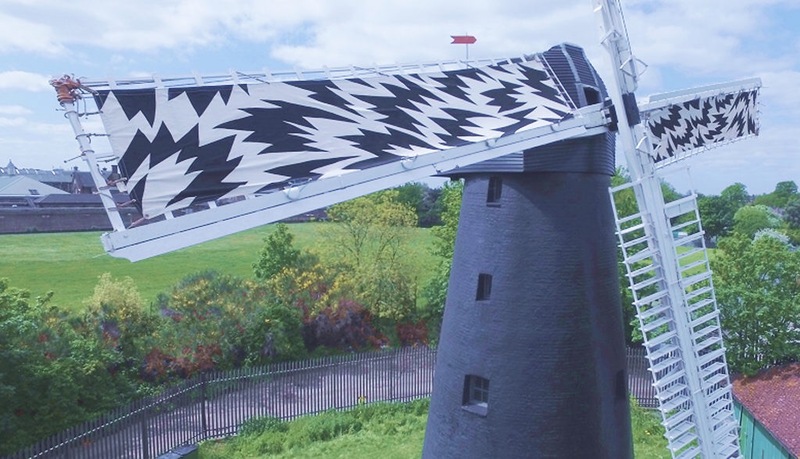 A highlight will be local pattern and print designers Eley Kishimoto who will dress the windmill sails with their striking Flash design. There’s a chance to see flour being ground at the windmill, local bakery the Old Post Office will run baking demonstrations alongside Brockwell Bake, selling products made from Brixton Windmill flour, and refreshments will be available as well as a chance to buy Brixton Windmill flour. Talented local woodworkers Mike Groves and Ben Willis will join forces to explore new directions for ‘rural vernacular arts’, offering workshops and informal talks on their age-old craft throughout the afternoon. Other activities include ‘Heart in Art’ corn dolly making, and a gardening workshop with demonstrations on how to build a portable green house. Father Nature, a Lambeth-based organisation that work with single dads introducing them to gardening, will be building hay stacks at the event. For children there will be face painting and a chance to get up close to farm animals with Brixton City Farm. Music will be provided by the folk group No Frills Band. Later this month the Brixton Windmill Lecture is on the theme of ‘Windpower in Lambeth’, taking place on Wednesday 28th September 7-9pm at Corpus Christi Church Hall on Trent Road. Simon Hudson of the Society for the Protection of Ancient Buildings (SPAB) Mills Section will speak about the significance and history of windmills in Lambeth, with a particular focus on the 200-year history of Brixton Windmill and its flour production by the Ashby family, the millers from 1816 to 1934. There will also be a small exhibition. This entry was posted in Blog and tagged Brixton Windmill, events by Martin Tiedemann. Bookmark the permalink.